In January 2019, the ICO composite indicator rose by 0.9% to 101.56 US cents/lb as prices for all group indicators increased. After starting at a low of 99.16 US cents/lb, the daily composite indicator increased over the remainder of the month to end at a high of 103.58 US cents/lb on 31 January. The average price for Colombian Milds and Other Milds rose by 1.1% to 129.28 US cents/lb and 128.46 US cents/lb, respectively. Prices for Robusta increased by 0.9% to 78.24 US cents/lb while prices for Brazilian Naturals increased by 0.8% to 102.94 US cents/lb. The strengthening of the Brazilian real against the US dollar in January 2019, particularly since the depreciation in September 2018, lent support to coffee prices this past month. Additionally, increased shipments in the first quarter of coffee year 2018-19 indicate that demand remains strong. In the first three months of 2018-19, total exports increased by 8.1% to 30.91 million bags. Exports of all types, except for Other Milds increased in comparison to the first three months of 2017-18. In December 2018, world coffee exports amounted to 10.43 million bags (631,800 tons), 0.9% higher than in December 2017. The monthly average of the ICO composite indicator rose by 0.9% to 101.56 US cents/lb in January 2019. The daily composite indicator started at a low of 99.16 US cents/lb and increased over the remainder of the month to end at a high of 103.58 US cents/lb. While the January composite indicator increased compared to last month, it is the lowest monthly price compared to the previous five years. The next lowest was 110.75 US cents/lb in January 2014. Prices remain under pressure given the sufficient supplies from the 2018-19 harvest. Prices for all group indicators grew in January 2019 compared to the previous month. The largest increases occurred in the average price for Colombian Milds and Other Milds, which both rose by 1.1% to 129.28 US cents/lb and 128.46 US cents/lb, respectively. As a result of this movement, the differential between Colombian Milds and Other Milds rose from 0.76 US cents/lb to 0.82 US cents/lb. Prices for Robusta increased by 0.9% to 78.24 US cents/lb, while prices for Brazilian Naturals increased by 0.8% to 102.94 US cents/lb. The average arbitrage in December, as measured on the New York and London futures markets, increased by 3.9% to 37.61 US cents/lb, but remains below the average of the previous twelve months of 41.33 US cents/lb. Further, intra-day volatility of the ICO composite indicator price declined by 0.9 percentage points to 6% as the intra-day volatility of all group indicators, except Robusta, decreased. The intra-day volatility of Robusta rose by 0.2 percentage points to 4.8%. December 2018, world coffee exports amounted to 10.43 million bags (631,800 tons), 0.9% higher than in December 2017. Shipments of Brazilian Naturals and Colombian Milds increased by 19.1% to 3.95 million bags and 8.9% to 1.42 million bags, respectively. However, exports of Other Milds fell by 11.8% to 1.67 million bags and Robusta shipments decreased by 11.3% to 3.39 million bags. In the first three months of 2018-19, total exports increased by 8.1% to 30.91 million bags. Exports of all types, except for Other Milds increased compared to the first three months of 2017-18 led by shipments of Brazilian Naturals, which increased by 21% to 11.7 million bags. Exports of Colombian Milds rose by 5% to 3.97 million bags, while Robustas grew by 4.5% to 10.28 million bags. Exports of Other Milds fell by 6.4% to 4.96 million bags. Brazil’s exports were 26.7% higher in December 2018 than in December 2017, reaching 3.83 million bags. Its exports in the first three months of coffee year 2018-19 amounted to 11.44 million bags. In calendar year 2018, Brazil’s exports rose by 13.7% to 35.15 million bags. This increase is due largely to the record crop of 61.7 million bags harvested in crop year 2018-19, which for Brazil began in April 2018. The depreciation of the Brazilian real against the US dollar in 2018 made exports from Brazil more competitive. Brazil’s 2018-19 crop is an on-year for Arabica production, and exports of this type increased by 6.9% to 30.86 million bags in 2018. Robusta exports more than doubled to 4.29 million bags from 2.05 million bags. Vietnam’s exports are estimated down 6.8%, to 2.4 million bags, in December 2018 compared to December 2017. Its shipments in the first three months of coffee year 2018-19 are estimated at 6.5 million bags, 14.7% higher than last year. In 2018, its exports are estimated at 29.48 million bags compared to 23.21 million bags in 2017. This growth in exports is attributed to the expansion of output in crop year 2017-18, which is estimated at 30.54 million bags, 20% higher than in 2016-17. However, production is estimated to decrease to 29.5 million bags in 2018-19, which should lead to slightly lower exports. Decreased usage of fertilizer and irrigation because of low coffee prices and heavy rainfall have negatively impacted output. Nonetheless Brazil’s higher Robusta production would more than offset the decrease in Vietnam’s output. Shipments from Colombia rose by 5% to 1.28 million bags in December 2018 compared to December 2017. Its total exports for October to December 2018 reached 3.59 million bags, 2.2% higher than the same period one year ago. However, its production during this period, as reported by the National Federation of Coffee Growers of Colombia (Fedecafé), was 2.67 million bags, 6.6% lower than in 2017-18. Total exports in calendar year 2018 reached 12.8 million bags compared to 12.98 million bags in 2017 due largely to the smaller harvest last year following five years of growth. In 2018, Colombia’s exports of both green and roasted coffee decreased by 2.05% to 11.8 million bags and 4.7% to 149,769 bags, respectively. However, exports of soluble coffee increased by 10.3% to 835,473 bags, which is the fourth consecutive year of growth. Exports from Honduras fell by 16.1% to 354,121 bags in December 2018 compared to one year ago, and its shipments in the first three months of 2018-19 decreased by 11% to 569,071 bags. Ongoing labour shortages and a late start to harvesting have contributed to the fall in exports in the first quarter of 2018-19. Honduras mostly ships green Arabica coffee, and its total exports decreased 2.7% to 7.14 million bags in 2018. This follows a year of record exports in 2017, when total shipments reached 7.34 million bags, and exports in 2018 are the second highest on record. Germany, Belgium and the USA were the three largest importers of coffee from Honduras, accounting for 62.5% of its total shipments in 2018. India’s exports in December 2018 reached 335,936 bags, 29.1% lower than in December 2018. Further, its exports in the first three months of 2018-19 declined by 28.8% to 1.06 million bags. Flooding and landslides during last August damaged coffee trees, leading to the reduced output in 2018-19. India is estimated to decrease its harvest by 10.5% to 5.2 million bags in 2018-19 from 5.81 million bags in 2017-18. This would be the second consecutive season where India’s output has declined. Its exports in 2018 fell by 8.8% to 5.97 million bags. This is largely a reflection of lower output in 2017-18, but also growing domestic demand. Italy was the top destination for shipments of coffee, accounting for 22% of exports. Germany (8.1%), Russian Federation (6.2%), Belgium (5.3%) and Turkey (4.6%) were the next four largest buyers of coffee from India. Uganda’s exports in December 2018 fell by 18.6% to 314,439 bags compared to December 2017. Its total shipments in the first three months of 2018-19 amounted to 1.08 million bags, down 11.2% from the same period in 2017-18. Shipments from Uganda in calendar year 2018 decreased by 11.5% to 4.22 million bags. Coffee farmers and exporters have held onto their coffee due to the low coffee prices and competition with Brazilian exports, as well as lower output in some of the regions. 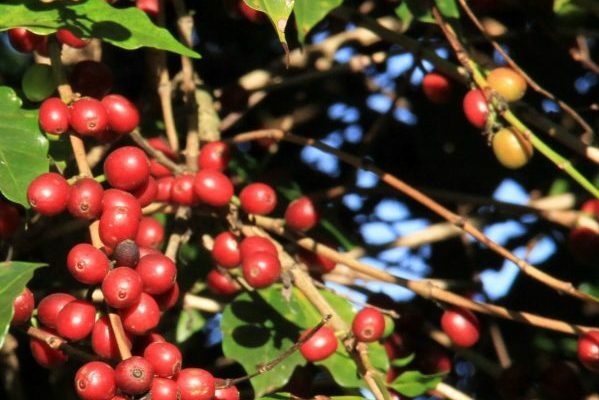 The European Union, notably Italy and Germany, remained a major destination for coffee from Uganda, accounting for around 65% of total shipments in 2018.